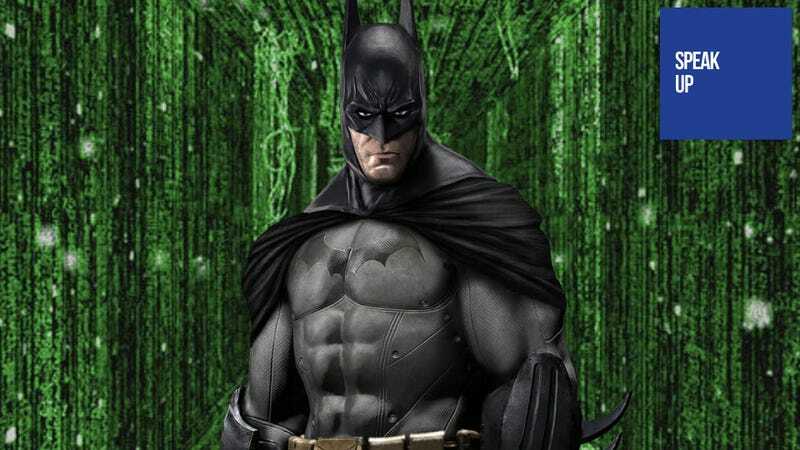 Batman: Arkham City's Creators Would Make a Lovely Matrix Game, Wouldn't They? In today's completely topical edition of Speak Up on Kotaku, commenter Ｓｏｕｌｓ feels he's found the perfect developer to make the next Matrix game. Does anybody still care about The Matrix? Rocksteady. What a wonderful studio, bringing the Batman license games it rightfully deserves. They did something else though. They've created arguably the best hand-to-hand combat in recent gaming. There's challenge, there's combos, and while it's the perfect blend of quick-time events and real time punches it never gets stale. The animations are great, varied and you could use the eviroment to an extent in Arkham City. It's a brilliant system that makes you feel like the badass that is Batman without taking away the possibility of losing. And that is why I think their next game should be a Matrix game. Am I the only person who would love to play a challenge map like this? Can no one else see the potential there is when combining Rocksteady with The Matrix? I know I'm not crazy, this is probably the best idea of November, who else thinks so?